You can add several separate menus on the same page. Each menu must have unique name ("MyMenu1", "MyMenu2", etc.). 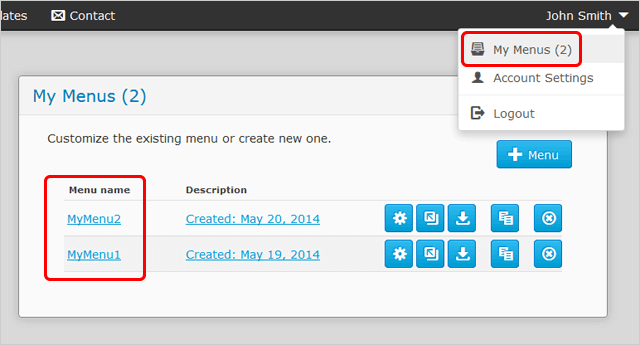 To specify the name of a menu, go to the "My Menus" page. Add each menu to the page in the standard way: download menus to the local machine, add them to your web site, and place the code for each menu on the page.